One of the most important aspects of your business is the cash flow. In order to stay in business, and keep things moving, you need to have available capital. The way that you receive payment on your invoices, and then put that money to work, impacts the efficiency of your company. But what happens when things get stopped up? You might have to wait 30 to 60 days to receive payment on an invoice, but you might need that money right now, to buy supplies or pay workers. What commercial finance is available in these types of situations? Among the possible solutions is a practice known as invoice discounting. The point of invoice discounting is to provide you with an option to finance your company. It’s all about making sure that you have sufficient working capital to meet your day-to-day obligations. With invoice discounting you could get an advance on some of the sales invoices that you have. If you have sales invoices that haven’t been paid yet (and may not be paid for another 30 to 60 days), you might run into a cash flow problem. Instead of feeling the pinch (and watching your business suffer as a result) you can work with a finance company to arrange to advance you the money you need. The finance company looks at your invoices, and offers to advance you up to 80% of the face value of these invoices. You pay fees (usually a monthly fee for the service) and interest on the money borrowed. Your sales invoices essentially act as collateral. When the invoices are paid, you have the money to repay the finance company. In the meantime, though, you are able to pay your workers, buy equipment, and take are of other costs associated with the daily running of a business. A good invoice discounting arrangement can be just the thing you need to ensure proper cash flow. 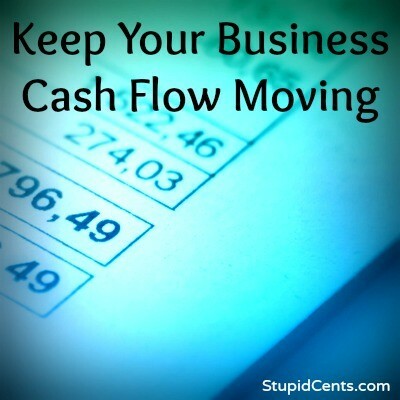 Cash flow is very important to the business. Often, when you have the money to accomplish your goals is just as important as how much you have coming in. A business can’t operate smoothly when it is always waiting for the next payment. Regular income that can be used as working capital is essential for the smooth and efficient running of a business. Unfortunately, you can’t always predict exactly when an invoice is going to be paid. Your business would run in fits and starts if you were always waiting around for the next payment. Business finance requires that you understand how to borrow in order to keep the business running. Whether you use short-term notes to temporarily make payroll, or whether you use invoice discounting to make sure that you have what you need (backed by your expected payments, of course), you need to come up with a solution. Don’t assume that you can run a business without borrowing in any form. You will always need to borrow if you want to keep your business running smoothly.